Did mental illness play a role in the suicide death of acclaimed vet, Nicole Putney (pictured) ? Nicole Christine Putney an acclaimed vet has killed herself in a hotel room after leaving a suicide note to the woman whom she believed to be having an affair with her scientist husband, Simon Mueller. 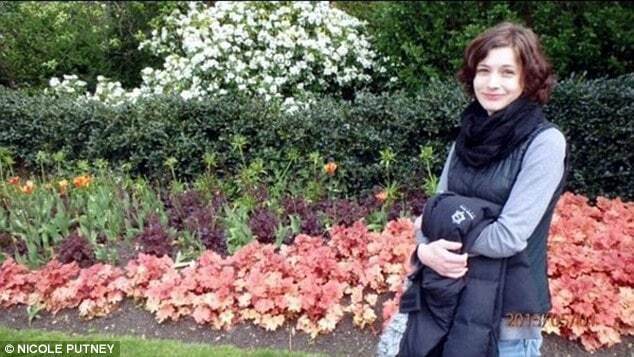 According to an inquest, the American born animal welfare expert, 32 hanged herself in the Novotel in Worsley, Greater Manchester, while visiting the city for a conference earlier this year on May 28. The wife’s death came a day after having checked into the hotel. Police were called to her room after the vet contacted loved ones and said she was planning to kill herself. After the woman hung herself, officers found a note in the woman’s room in which she apologized to family and friends, along with telling her husband a physicist at the International Energy Agency, she wanted to ‘leave him’. The inquest into her death heard an ‘unnamed female’ mentioned in the letter appeared to be involved in an affair with the deceased woman’s husband. A mobile phone next to the woman’s body revealed a string of texts between herself and her husband discussing their failing marriage. In a statement, the husband who did not attend the inquest described how their relationship broke down and led to his wife attempting several suicide attempts. 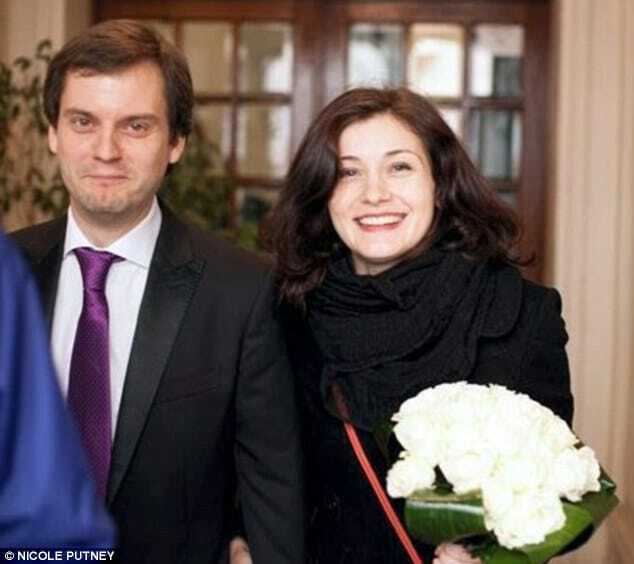 Nicole Putney and her husband, husband of four months Simon Mueller. Told the husband: ‘My relationship with my wife was harmonious to begin with. She quit her job and moved to Paris to be with me and our goal was to move to London. ‘Nicole moved her things to Paris in late September 2014 but didn’t handle the transition very well. Our relationship deteriorated and the deterioration continued over a period of time. ‘Her first suicide attempt was in 2014 when we had been talking about the relationship and I had left to meet a friend. When I came back I found her with a note beside her and a knife. She had taken her pain medication and I managed to wake her up and call an ambulance. ‘She made another suicide attempt in January 2015, she tried hanging herself and collapsed. Despite those events, we decided to follow through with our planned marriage which was on January 9 2015’. After their wedding, Putney began looking for jobs in London but as her husband said he wanted to stay in Paris she became upset. Added the husband: ‘I decided I would not quit my job in Paris straight away. We had an argument and she told me she was going out to get a drink, then she text me saying she was going to jump in front of a train. ‘She was found and taken to an emergency care ward where she was hospitalized’. After she recovered he said: ‘I received a very difficult telephone call when she asked me to get a divorce lawyer and get the papers. I didn’t know what to respond to her request. She contacted me several times before her death and we were texting’. Told a receptionist who had been working at the hotel on the day of the wife’s suicide: ‘I was working on reception doing a night shift. At 1.55am I received a telephone call from someone in the USA. She said she had become worried about the safety of Mrs Putney. ‘I transferred the call to Mrs Putney’s room but it came back to the reception unanswered. The caller then told me it was an emergency, as she had told her father she was going to commit suicide, and asked me to go and check the room and that was when the police were called. According to the deceased woman’s obituary, Nicole Putney was once named ‘National Vet Student of the Year’ in Washington D.C where she studied veterinary and medicine for four years. During her career she published a string of articles on veterinary topics and in the US testified several times as an animal welfare expert during criminal trials on pet cruelty. She also did volunteer veterinary work on Indian reservations for several summers, travelled to Costa Rica on a veterinary mission, and in the course of her training, visited several animals shelters in the eastern and southern United States. She initially moved to Paris to be with fiancee whom she had known for 17 years. But cracks began appear in their relationship and she made several suicide attempts. In recording a verdict of suicide Coroner, Alan Walsh, said: ‘She had a very difficult personal life and there is clear evidence of a breakdown of her marriage. ‘They were living separately, he was in Paris and she was in London and from the messages and evidence it’s clear their relationship broke down. That had a major impact on Mrs Putney. ‘She was obviously a very talented young lady, someone who gained credentials from her studies and created change. It’s important to record the impact of her life in veterinary medicine. ‘She was on the verge of a new career in London with the Royal Veterinary College. However, in May of 2015 and particularly when she came to Manchester, she reached a very low level arising from mainly the breakdown of her marriage. ‘There were previous attempts at self harm and the actions taken by her were what brought her life to an end. She had made contact with people in America, telling them she may commit suicide and by the time people got there she had already taken the action. ‘In the room, there was evidence in the form of notes of her intention to end her life. She found a note and pen lay on the floor next to the bed. She read the note on the note pad. The first part offered apologies to friends and family and then there was a line sectioning it away from the second part. Strangely, no family or friends were at the inquest. But in an online tribute website, close friend, Stephanie Fromwiller said: ‘I am so saddened to hear of the loss of Nicole. She was my best friend from the age of 8 all the way through our teenage years. The woman must have had previous periods of depression. It sounds as if she wasn’t on/or taking medication and seeking counseling. I would have thought after several failed suicide attempts she’d have been referred for help. There is no proof her husband was having an affair, and perhaps once the relationship ran into problems prior to their marriage, he went ahead because he thought either she’d get better or splitting would send her over the edge. Mental illness is not very well understood and very much under funded. She was definitely screaming for help. Don’t need a medical degree to see that. What was her family and husband thinking after her second attempt?